Madar Sulphonic is capable to produce all alkylate sulphonated and alcohol sulphated products. 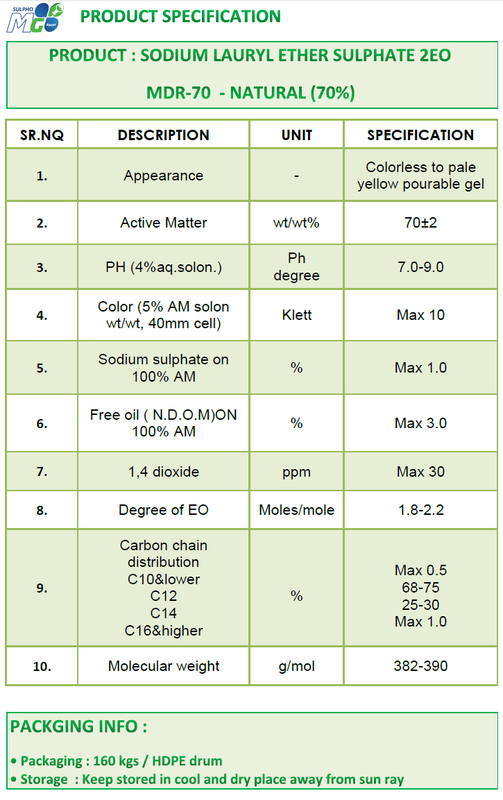 Currently, produce sulfonic acid and also MDR-70 (SLES 70%) according to the international standard specifications and with a high quality. 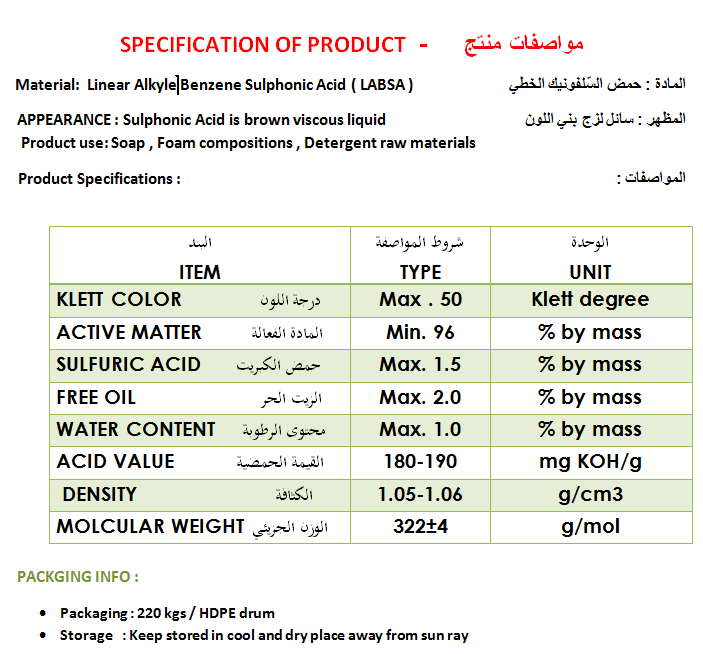 Product use: used as raw material in the manufacturing of (liquid and powder) detergents and used as a foam also. -Product use: used as a raw material in the manufacture of Cosmetics & Personal care and also in the manufacture of shampoo and used as a foam.